PGI is credited with their models. Even though I'm not using just one, every piece here is theirs and I thank them greatly for their allowance of our efforts to port mechs. 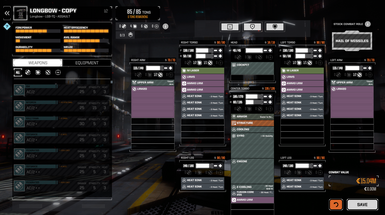 LadYAlekto and RogueTech is credited with the ArtemisIV system and its attendant ammo. Thanks LA! So this one is probably a bit of a surprise. 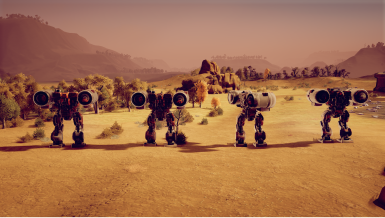 There is no Longbow in MechWarrior Online, which is where almost every modded mech so far has come from. 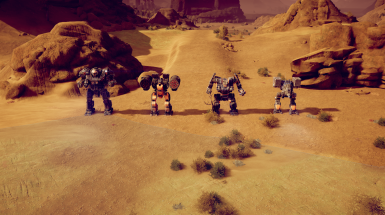 The truth is that we're running out of mechs in MWO and I'm specifically totally out (until the Corsair and Mad II) since I don't do Clan mechs, so that means it is time to kitbash mechs together. If you're unfamiliar with the concept, basically kitbashing is making a model out of unrelated parts, in this case, the Warhammer and some various weapon bits from a few other mechs. This Longbow specifically is based off of the Primitive Longbow art from XTRO:Primitives III, from the tabletop BattleTech game, that art is in the gallery if you'd like to see the inspiration. The kitbash itself is fairly simple and mostly based on the Warhammer, as you can see from the pictures. Still, I think it came out nicely, hope you agree! 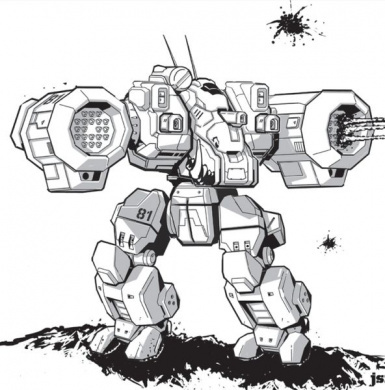 The Longbow is a 85 ton assault mech that carries many, many missiles with some laser backup (depending on the model). The Longbow tends to be slow and well armored, though there is one variant that disagrees (more on that later). There are three variants in this mod, the LGB-7Q, -7V, and -0W. 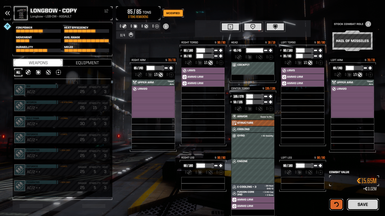 The basic variant is the -7Q, which carries 2 LRM 20s, 2 LRM 5s, and a pair of Medium Lasers with plenty of ammo and heat sinks and is better armored than a Stalker though it is the same speed. The -7Q is a real threat, be careful around them. The -7V is a Star League spec upgrade of the -7Q that carries a pair of LRM 20s with an Artemis IV fire control system with plentiful ammo. The big way the -7V differs from the -7Q is that the -7V has 5 Medium Pulse Lasers and an ER Large Laser for backup. Even with its double heat sinks it suffers with heat issues so be careful. It has better armor than the -7Q but carries an XL Engine so is slightly more fragile anyway. The black sheep of the Longbows is the LGB-0W, which was alluded to earlier. 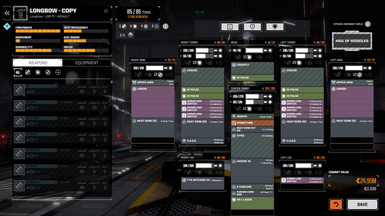 It carries the same LRM 20s and 5s as the -7Q but no backup weapons. 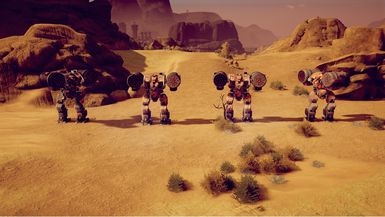 Importantly, it is faster than the other two, moving the same speed as most heavy mechs such as the Orion or Black Knight. To achieve this, it loses almost half its armor and is less armored than most heavies and even some mediums, so be careful when you use this one. The Longbow is a ModTek mod, so you will need BTML and ModTek. You can find them here: BTML﻿ and ModTek﻿. However, the Longbow comes in two versions, one of which requires an additional mod to work. 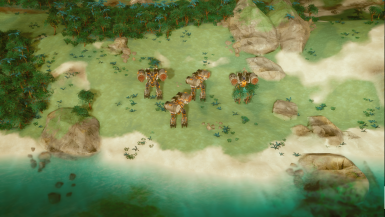 The Longbow comes in a vanilla version for the vanilla game and comes in a MechEngineer version for those players who are using MechEngineer (if you're not sure which one you're using, check the photos above to see what a MechEngineer MechBay looks like, if your MechBay looks different then you want the vanilla mod). The arms are a special case. In order to not have to place and position multiple parts over and over, the arm itself is actually the LRM 20 launcher. If you, for some reason, take a Longbow out without anything in the arms, it'll still have the launchers there. This is just a visual thing to simplify the process. For modders, the Longbow has mh1/2/3 in the arms, just no models will appear there for them. The Corsair in March and the Marauder II in April are on my radar but until then, I might do another kitbash or two. We'll see what they turn out to be though. GentlePayload and Colobos remain great friends and great sources of aid and advice. Thanks, to both of you. Also, extra-special thanks to Colobos for doing the textures on this one, thanks buddy.